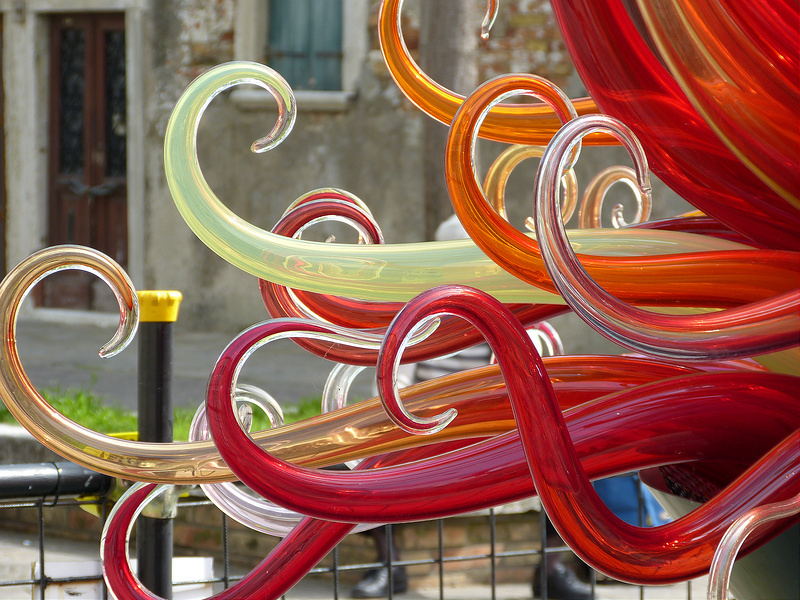 – Convent of San Marco: this museum definitely worth a visit, not only for the splendid architecture of the former Dominican convent, but also for the pieces of art that it hosts. Key personality of its time, Beato Angelico was a monk of the convent who decorated part of the building. Particularly prestigious is the early Renaissance Fresco named The Annunciation, even though this is not the only one of this level in the Convent. 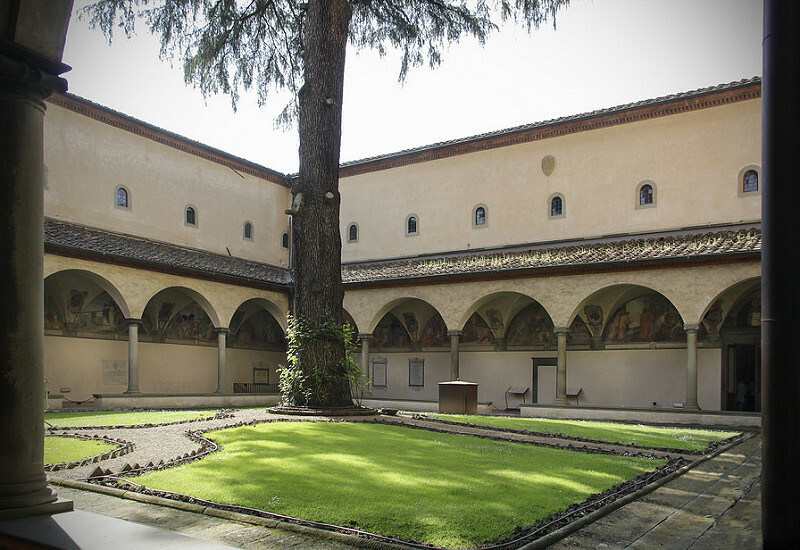 What is more, the museum is an example of a perfectly preserved convent of the XV century, built following the innovations of Brunelleschi. Convent of San Marco, Florence. 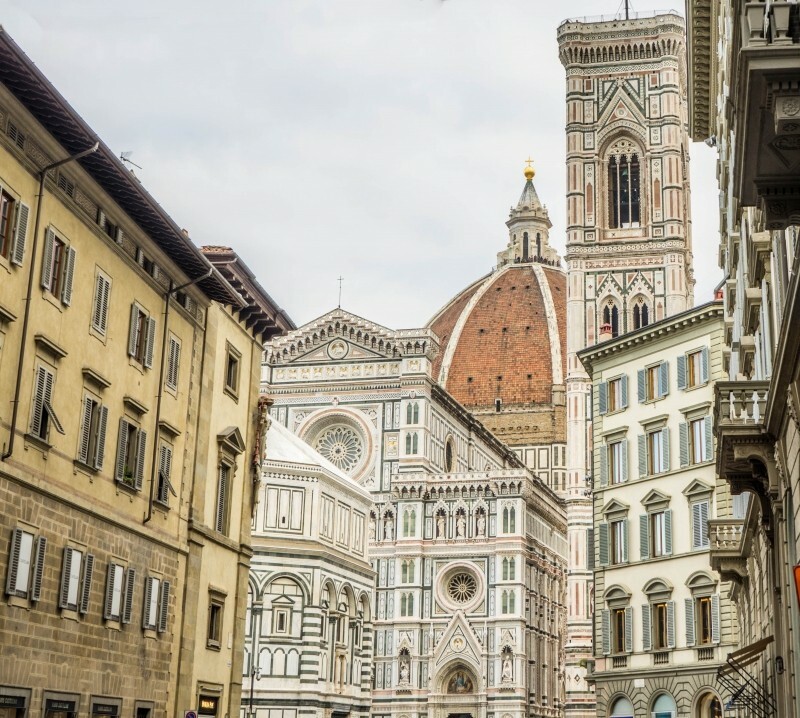 – Baptistery: in Piazza del Duomo, in front of the Cathedral of Saint Mary of the Flower, rises one of the most important monuments of the city. 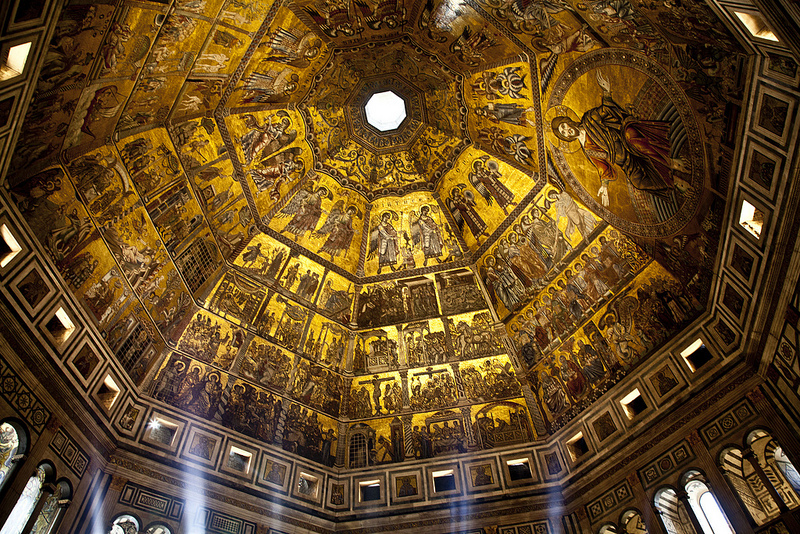 Besides its unknown origins, the octagonal plan building was consecrated in 1128 as a baptistery, becoming the oldest religious monument in Florence. From the outside it is a typical example of the Florentine Romanesque architecture, while inside, the mosaic ceiling of the dome is seriously breathtaking. It portrays scenes of religious importance like the Last Judgment, Stories from the Book of Genesis and stories of Mary and Christ. – Medici Riccardi Palace: beside the architectonic importance of the building, we want you to focus on a room at its interior: the Magi Chapel. 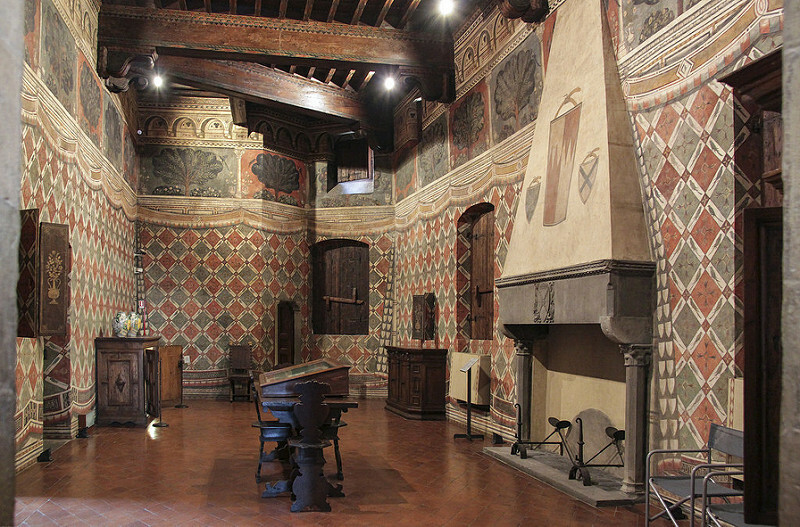 The walls of this room are almost completely covered by frescoes realized by Gozzoli for the Medici Family. The piece of art represent the journey of the Magi towards Bethlehem to see and honor Jesus’ birth. It portrays a rich Tuscan environment as well as some of the most influent members of the Medici Family. Fresco of the Magi Chapel, Florence. 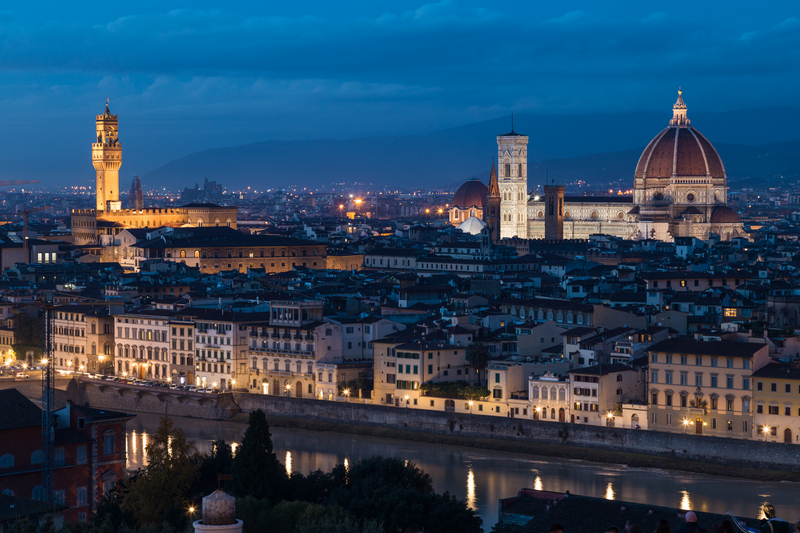 – Palazzo Vecchio: a visit in this building, symbol of the civil power of Florence, is something you absolutely can’t miss. Beside the magnificent architectural structure of the palace, we strongly suggest you to visit the many rooms of the interior. 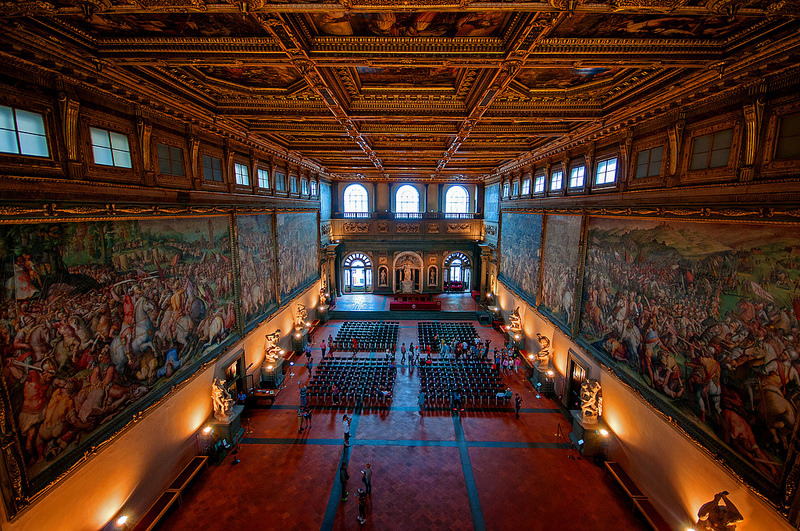 Particularly rich in charm and elegance are the Salone dei Cinquecento (Hall of the Five Hundred) and the Room of the maps, impressive for both their dimensions and their artistic and historical value. Hall of the Five Hundred, Florence. 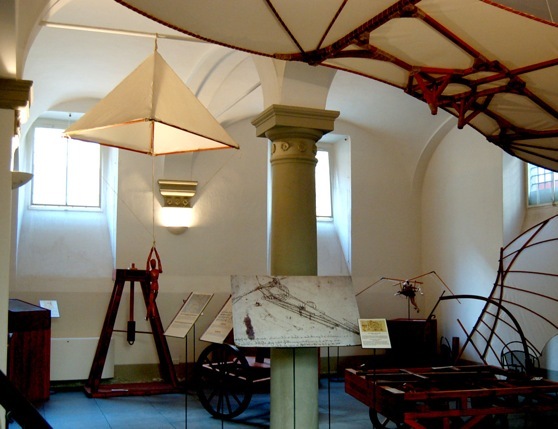 – The Leonardo da Vinci Museum: inventor, artist and scientist, the prestige of Leonardo da Vinci has passed times and places, and it has been (and still is) one of the most charismatic and important personality in Tuscany of all times. During his lifetime he realized studies of great importance and artworks of global interests and beauty; in this museum you can admire the many ideas of Leonardo brought to life from the notes he left. A true trip back into XV century and across the mind of the genius. 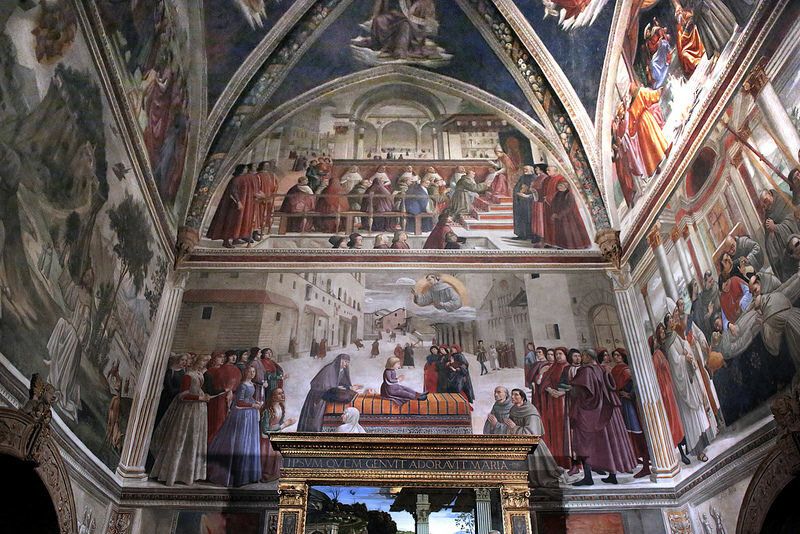 – Santa Trinità Church: founded in the XI century and built in Romanesque style, the church is particularly interesting for the Sassetti Chapel, in which the artist Ghirlandaio painted a fresco depicting the life of Saint Francis. Masterwork of the artist, this cycle of frescoes cover three walls of the chapel and in its 6 scenes it recall the life of the saint. The setting is Florence in the VX century, allowing the artist to fill the scenes with images of the contemporary Florentine elite. – Palazzo Davanzati: this ancient dwelling hosts since 1910 the Museum of the Old Florentine House. This house is able to illustrate the everyday life of the family and allows you to visit rooms (kitchen, bedrooms and bathroom) frescoed and furnished according to the style of the rich merchants family Davanzati. A real window onto the medieval times!